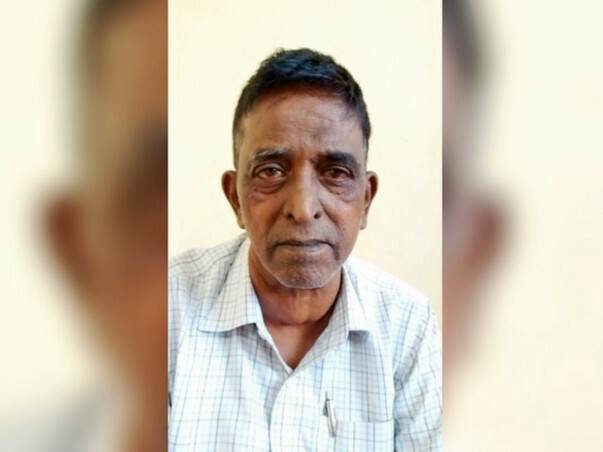 My father Mr. Ramprasad Batham is fighting with liver cirrhosis disease (irreversible damage of liver) and after suffering for last 8 months his condition is not improving and becoming critical. He is being treated and had been hospitalized thrice in last 8 months. 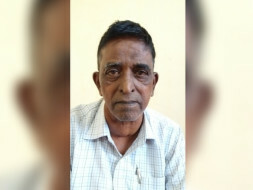 A liver transplant can give him another chance to live life. Since there is no living organ donor in close relatives or family we have registered his name in the Cadaver list for organ donors. It may take 2 months or more to find the matching organ (Blood group : B positive). 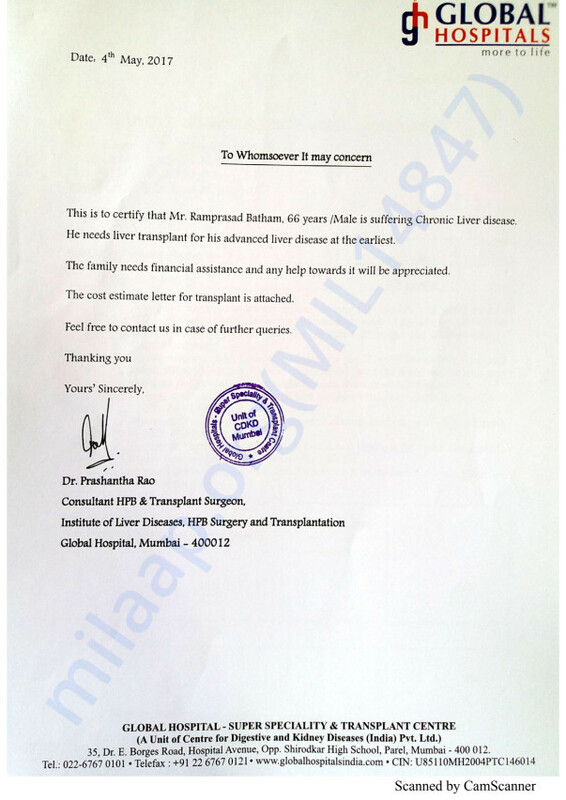 Liver transplant is very expensive (cost estimate by doctors in India are approximately INR 35 to INR 40 lacs). The cost could be more depending upon the complication level and other charges implied by the hospital. We have to manage this cost on our own, for which I am turning towards crowdfunding. We have already exhausted most of our funds over last eight months in the treatment and are left with a remainder of very less funds. It’s my humble request to you my friends, family and close acquaintances to raise the fund raiser which would be completely voluntary drive to give my father a new life. Each person can make a big difference. I would be grateful if you were to donate to help save my father's life from the grip of this fatal, but curable, disease. Please forward this mail to your friends, your single effort can change my father’s life and bring our smiles back. cost estimate of surgery and pre-tests for cadaver listing. Our family is deeply saddened to inform you that my father passed away due to internal bleed during TIPS procedure on 09 November. We thank you all for your support. Thank you for all the support you have shown my father. My father had Ascites in lungs for which he had been hospitalized on 30 October 2017, he will be undergoing the TIPSS procedure today in which Doctors will implant a stent in the liver. Will keep you posted. Thank you for all the support you have shown my father. Would request you to please pray for his health and speedy recovery. Thank you for the great support with prayers and with your contributions. I am 100% confident and very strong now, I am going to a war for my father with 2 weapons one definitely prayers and other funds. Organ donor(has to be a close relative). Unfortunately, there is no matching living organ donor in our family/Close relatives, therefore we have registered him in Cadaver list of organ donors(tentative wait time). As every hospital have a different in-house list for an organ, I have registered my father in three different hospitals, just to better the chances of getting the organ. I request you to help me out further, by spreading the word in your network. Will keep posting the updates.